Sign Class Enrollment for Spring is now over. Please check our schedule in Summer! To Enroll Jenks classes, you may contact Jenks Community Ed. by calling 918-298-0340 or 918-299-4415 ext. 2245. 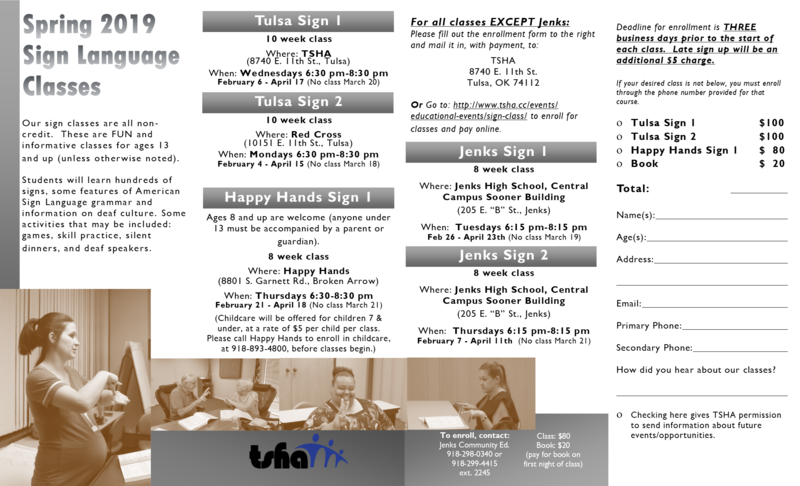 To have a sign class brochure mailed to you, you can call TSHA at 918.832.8742 or email Kirsten Wilson at kwilson@tsha.cc or Diana Emerson at: demerson@tsha.cc with your name and mailing address. You may also use the form below to sign up for classes online. 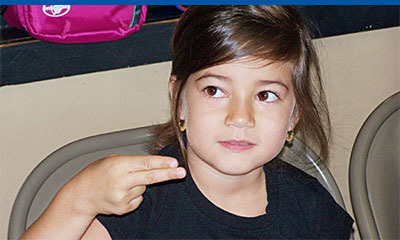 Deadline for enrollment is THREE business days prior to the start of each class. Late sign up will be an additional $5 charge.